From our perfect seats, front row, top deck of the Ponsford, we could see that Dusty wasn’t right, even before the first bounce. He was lining up in the goal-square, which wasn’t a great sign, but could have been an interesting tactical move. If only he could move, which he clearly couldn’t. He was thinking about each step. And this was when he was walking. That he went on to have the worst game anyone could remember him having was not surprising. Later Dimma would say, if it hadn’t been a final he wouldn’t have played. “But he would have killed me if I’d said he couldn’t play.” Well Dimma, that’s the coach’s job, breaking the bad news. 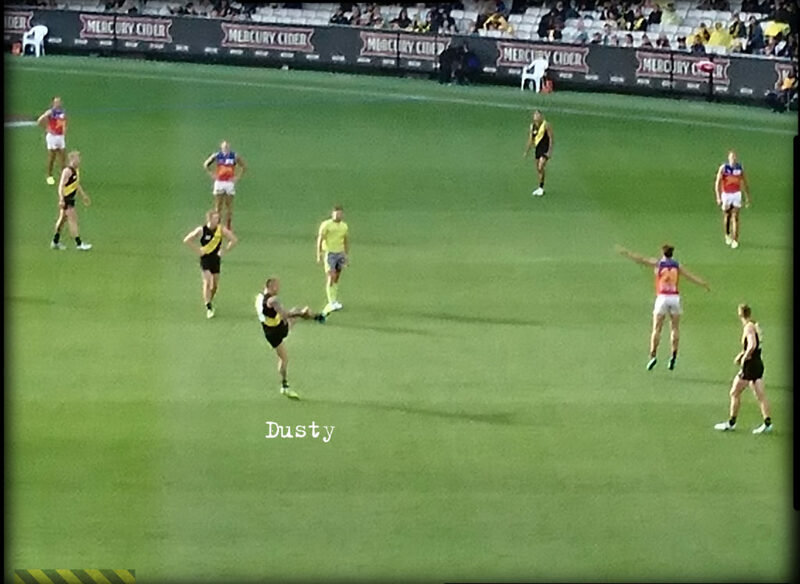 And in what sort of shape would Dusty have been in for the GF if we’d won on Friday night? Playing injured players in finals is the sort of mistake our opponents made last year and paid a great price. I can’t believe we fell into the same trap. But there it was. 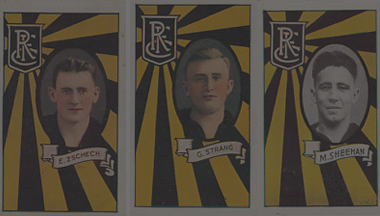 The game started well enough, with Riewoldt – can we still identify him as “Jack” now that we have three of them? – marking in a gettable spot. But with the Collingwood jeer-squad booing him he missed. I think we had another shot and missed that too. Soon enough Collingwood had a goal and then another and maybe another before we had our first. At quarter time it was 5.2 to 1.3 and we’d been killed around the ground. Not just on the ground, around the ground. The haunting chant of “Coll-ing….woooood” completely drowned out the Richmond chants. Luckily our marketing heroes took care of this at the break and drowned out everyone with their loud and noxious tripe. I took the time to send an SMS to Patrick Keane at the AFL. He once told me that the loud music at the breaks and before the games “makes no difference at all.” How about now Patrick? I asked him. But he didn’t reply. In the second quarter the world ended. I had said several times over the year that if Mason Cox ever played really well he’d be unstoppable. He did and he was. Three times he soared into the air, grabbed the mark, slotted the goal. Three times in about ten minutes. 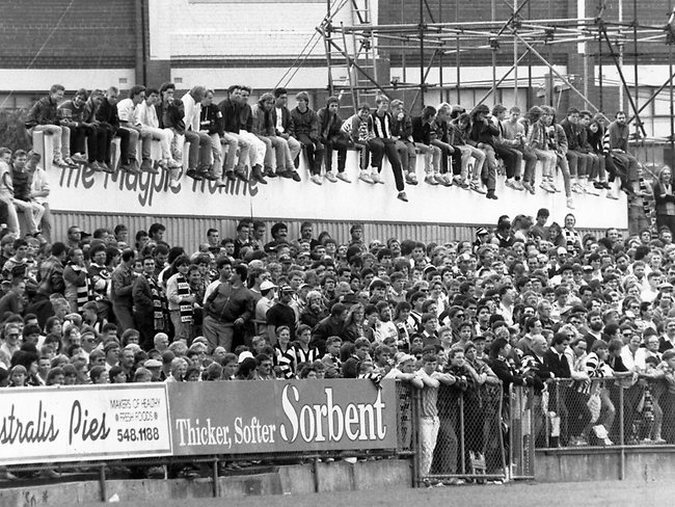 The Magpies behind the goals went nuts. So did the 60 thousand other Magpie supporters. And their “Coll-ing…wood” chant could get going and no loud music drowned it out. I think at one stage we were nine goals down and it wasn’t even half time. I thought we were going to lose the match by 100 points. But there was a faint rally and we went in at the break only 44 points down, the same margin Collingwood led by in the 1970 Grand Final. What had gone wrong? The short answer was everything. Martin had been kryptonited. Astbury, who had destroyed Cox in round 19, appeared not to be playing. Later I heard he’d been really crook. Cox was too tall and was playing too well. Our defence was rattled, our forward line ineffective and our midfield battling but in retreat. I drew solace from the fact that we had come back a bit. But I’d have preferred a margin a bit less than 44 points. The opening of the last term was our best stretch. We got two goals and the margin was down to 21 and another one or two and the ‘Woods might have panicked. But the next three goals were Magpies and the night was over and the “Coll-ing…wooooood” chant was unstoppable. Our boys kept trying, which is more than I can say for our supporters. Well before the final siren at least three quarters of them had left. I could not believe this. These players won us a flag last year! They finished on top of the ladder! And you won’t even stay to the end of a Prelim Final? When Cats fans left the qualifying final ten minutes from the end last year I was disgusted. Is this what a few flags does for your commitment? Well we’re just as bad after winning one. Now I don’t think you should always, always stay. If you’re sitting in the rain and 90 points down at half time, maybe you could go home in good conscience. But what are we teaching our kids about dealing with grief and loss, about commitment, when we leave before the end of a final just so we can get out the carpark a bit quicker or catch that early train? Honestly. So, a dreadful night for the Tigers. I didn’t quite see it coming but I was never as confident as all the media experts. When we beat Collingwood twice during the year they didn’t have Goldsack, Treloar or De Goey and Cox was tall, but quiet. Bring those three back in and let Cox actually play a bit and it’s a different game. But as a Club when can learn from this game. We simply have to let our supporters sing! No more corporate crap at the breaks and before the game. Let’s get singing and chanting at least as well as Collingwood. We’ve got 100,000 members and only a dumb-as-dogshit club would try to shut them up. Oh, I feel better now. (Eligible 2018: Chol, Corey Ellis, Grigg, Nankervis and Houli). I was invited to the wedding ceremony of my best friend from primary school, just a few days before this match. I was behaving myself in the gorgeous church, my phone buried deep in my pockets. Two blokes in front look at a phone and giggle, but I don’t look. My fitbit vibrates, excited to share with me its new feature – displaying my texts. Towards the end of the ceremony I catch a glimpse of the phone held by the guy in front, the score reads 58 – 4. So I watch the replay. 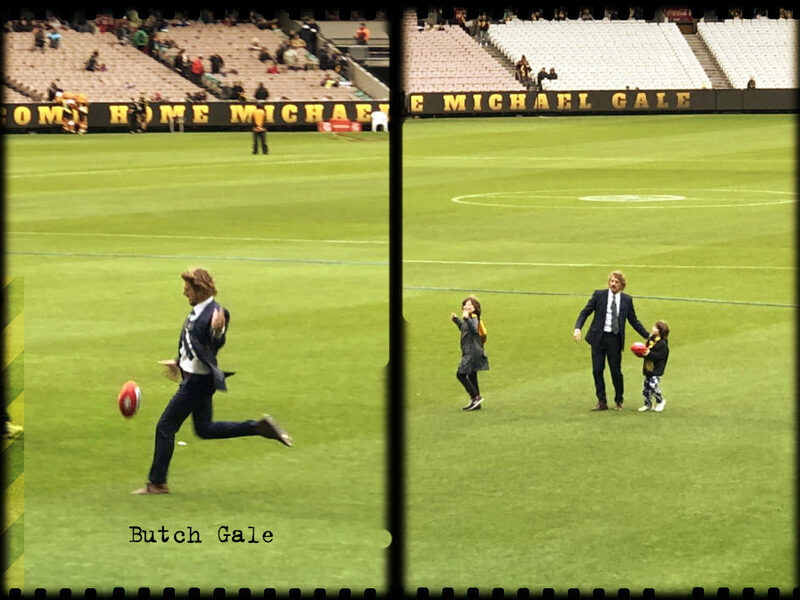 Home coming hero Michael ‘Butch’ Gale nails the set shot before the first bounce. A strange start – Charlie Cameron kicks a goal, the umpire calls it a goal, the review says it’s not a goal. From my couch it sure looked a goal. Then we get a free and Dusty kicks a point, gets called back to his mark and kicks a goal. We may be in a universe in which this game both does and does not exist. Eric Hipwood is high up the ground, still looking like a young Rafa Nadal. I think his hairline is just as doomed as poor Rafa’s too. 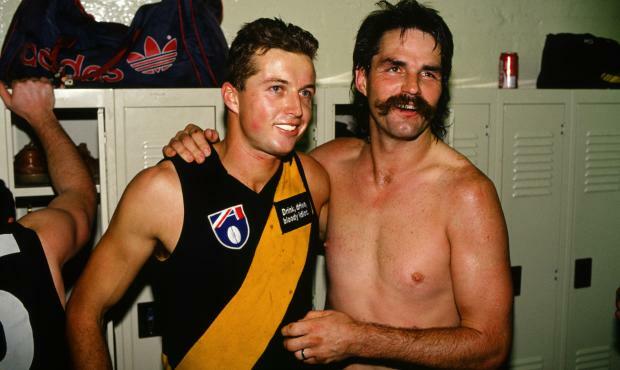 Oh look it’s Premiership hero Jack Graham with a nice shepherd, collect and inside 50. A Huge pack mark in the goal square and HE goals. Some pretty poor defending by the lion cubs there, and that’s going to become a running theme. Heh. Cotch in the ruck. Caddy marks and goals, and gets a clearance at the next bounce, because stuff going to the bench for a rest. This year FoxFooty has little player poses after certain players kick a goal, and in his, Caddy appears to be applauding himself. Zorko gets penalised for picking up the ball as Ellis lays a messy tackle. Mmm. Questionable free kicks. Delicious. Ellis works hard to get forward and ends up on the end of it, but the kick isn’t his best. Dwayne Russell inexplicably calls George Castagna ‘Cutler’ and despite (or perhaps in spite of?) this disrespect, George slots it on the quarter time siren. Oh hey it’s the 2nd quarter and we open it with forward line pressure and a goal to George. I don’t remember what the Brisbane forward line looks like. Jack with another set shot and another miss, and even though this is delayed, I swear I can hear my Nan groan affectionately. Oh hey Brisbane forward line. Hi and goodbye Josh Walker’s hairline. We are seven minutes into the 2nd quarter and the score is 42 to 3. This is not a great day for the Lions’ pride. Heh. See what I did there? Towner and Nick Robertson are wrestling and I agree with the commentators, I would pay to see that. We are dominant, and it’s looking a bit like a training run, Towner goals after Dusty flexes some muscle. Nick Dal Santo full of praise for Rafa Hipwood, who is working very hard trying to help out the back line, then getting forward when they actually get the ball. Ellis, possibly discouraged by his previous set shot, plays on from a mark and gets all in a tangle. Castagna moves give support but misses. We are 1000 points up and yet I’m almost annoyed we’re not winning by more? Oooh, Bachar has a run and bounce, and George gets a very, very kind free kick. A Brisbane player spoils. Defending! Nick Dal Santo is interviewing Jack who is halfway through a banana and just wants to sit down. He’s still sharp and funny, because he’s a good lad. Our players have been a bit more visible, are we giving the media a bit more access? Kane Lambert has no shortage of options. Photo by Jason Dowling. At this point I was driving home from the wedding and flicking between 3aw and MMM. MMM would spend the next 20 mins trying to find out the last (only?) time a team was goalless at 3/4 time and mocking their stats guy when he couldn’t find it immediately. Champagne radio. A few minutes into the 3rd and George has another goal, and a few uninspiring minutes later Dusty has his fourth. If someone takes a chest mark at the back of a pack, you’re having a bad day. But truly, the third quarter belongs to DYLAN GRIMES. This is a fumbling training run of a quarter, and the highlight is definitely our defensive efforts. 3/4 time is closing in, and suddenly it becomes imperative that we deny Brisbane a goal. We’re mad, all of a sudden, and it’s as though a Lion’s goal would undo everything we’ve worked for. Enter Grimey, in all his glory. Desperation, say the commentators, as Grimes leaps for the spoil in the goal-square , bounces up from the ground and lays a brilliant tackle on the other Martin, who was absolutely just centimetres from getting a goal. But the tiger faithful know this man, they’ve been heart in mouth for years as he defies belief time and time again with his ruthless attack on the football. Desperation is all Dylan Grimes has ever known. All you need to know about the 4th quarter is that Dusty kicks goals five and six for the day, the poor lion cubs are witches’ hats and we win by 93 points. It is a comprehensive victory, with Brisbane only allowed to kick two goals. We are so lucky to see this group of defenders do their thing each week. It all reminds me a bit of losing to Geelong by 157 points. It’s nice to be on the other side. Dusty piles on the pain for the hapless Lions. Photo by Jason Dowling. 5 Trent Cotchin. Our fearless leader is killing it at the moment. 3 Kane Lambert. Putting it all back together after a slowish start. 1 Jason Castagna. I googled him the other week, but typed George Castagna. True story. My high-school football coach was one of those blokes who could instantaneously transform from mild-mannered geography teacher to manic, hot-gospel zealot. Foaming at the mouth, he’d shower us callow sportsmen with a fine litany of motivational clichés. Two of my favourites were “A champion team will always beat a team of champions” and “It’s not the size of the dog in the fight, it’s the size of the fight in the dog”. (Come to think of it, this latter exhortation isn’t too far removed from Tommy Hafey’s famous line about the ‘tigerishness of a wounded bloody tiger’.) Now, decades down the track, I’m reminded of these fine motivational mantra because both of ‘em applied to the Tigers’ inspired performances throughout the recent finals series. A month after the big event, we’re still pinching ourselves. 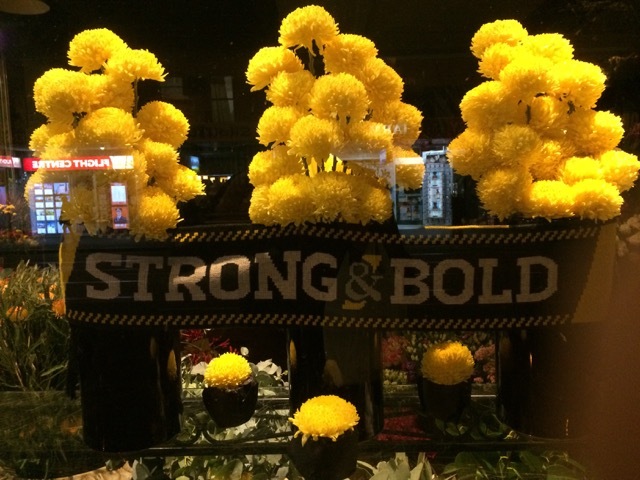 Richmond Tigers are reigning premiers. How the f#@% did that really happen? I watched the Grand Final at a beer hall with a big screen, just round the corner from my place in Fitzroy. There was the odd table of Crow supporters. My table accommodated the noisiest bunch of Tiger fans in the joint. The projected TV image was in the wrong aspect ratio, so the players looked a bit squatter than they should have. But we were nervous and excited so we didn’t really care. 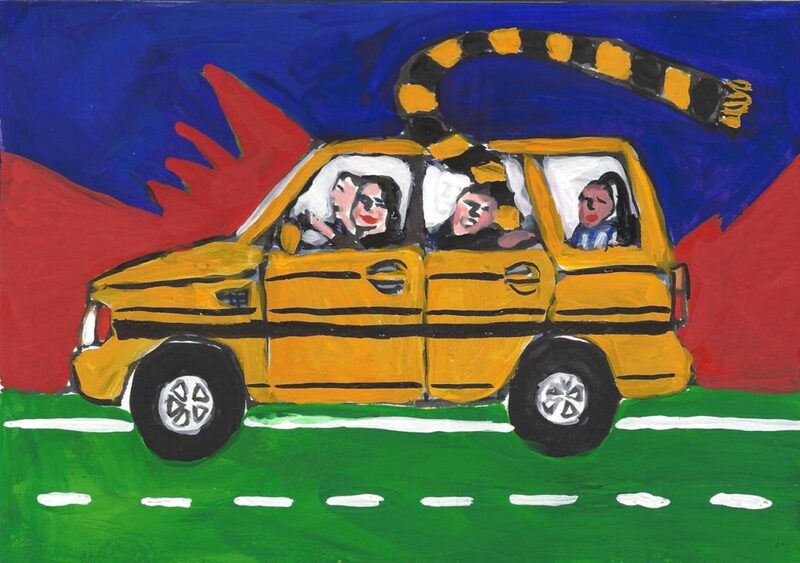 Some of the more impartial characters in my grand final coterie opined that the game was no great spectacle, but of course we Tiger fans disagreed. As the game went on we became overcome with excitement and joy. The odd involuntary tear was shed. And the Crowbots turned out to be a mob of chocolate teapots, dropping their collective bundle with surprising alacrity. Like many Tiger fans long starved of on-field glory, I’ve spent an inordinate amount of time over recent weeks reliving those glorious three games our team reeled off at the business end of the season. These three football matches inspire awe and wonder, most particularly because our team played with such impressive self-belief and never looked like losing, even in those inevitable periods when the run of play was going against us. For a club with such a well-deserved reputation for choking and capitulating in big moments, this indefatigable spirit seemed truly amazing. Who were these manic men in the yellow and black? Let me sing the praises of them all because they were simply magnificent, and then let me extol a few in particular. Our September team was unchanging and rock-solid. Everyone seemed to play out of their skin. Everyone played for their teammates. No-one shirked a bump, a tackle, a smother or a knock-on. Everyone seemed to run like a maniac from opening bounce to final siren. There were never any passengers and, to my eye, the difference between our acknowledged stars and our so-called second-tier players was largely negligible. Jacob Townsend exhibited an incredible knack for bobbing up in the right place at the right time, always calm and collected, whether slotting a goal or driving an opponent into the turf. Jack Graham materialised as a fully-formed, nerveless man-child, seemingly hatched from nowhere to operate as fearsome tackling machine and performer of perfectly executed, timely cameos. Jack Riewoldt was a phenomenal on-field leader, seemingly filling the role of at least two key forwards for most of the season and especially throughout the finals run. He kicked only four goals across those September games, but he set up many more for other players and exerted enormous influence in each game. Like Cotchin, he’s learned how to focus his immense passion as a productive force, always inspiring his teammates. I worried, last year, that Shane Edwards (one of my personal favourites) had somehow lost the magic spark, that ability he has to extract the football with freakish speed and make something from nothing. So it’s been heart-warming to see him back at his best, performing subtle miracles fast enough to be frequently missed by TV commentators blinking at the wrong time. For a bloke with sleepy eyes, it’s incredible how he seems to have a spare set in the back of his head. ‘The Human Meatball’ seems an unfortunate nickname, but Dion Prestia does exhibit an impressive ability to just keep on rolling, often taking the ball with him. He’s a perpetual motion machine, and his occasional lack of polish is more than offset by his relentless ability to win the ball and keep it moving in a Tigerly direction. I’ve noted many commentators opining that our team has been incredibly lucky to avoid injuries in season 2017. There’s some truth in this, but also some significant counter evidence: Ben Griffiths effectively going down for the rest of the season in round 2, Reece Conca ditto at some early stage of the year, Shane Edwards missing a run of games, Riewoldt out for a couple with a freak eye injury. Bachar and Nank both missed games through suspension. Nick Vlaustin missed nine weeks with a broken shoulder, but his courage, skill and creativity was phenomenal once he got back on the park. He played a critical role in our defence and was superb in all the September games. There are so many other players whose praises I might sing, including those we’ve heard much about already in every other forum (Dusty, Alex, Bachar, the so-called ‘mosquito fleet’) and those less copiously eulogised (Lambert, Astbury, Grigg, etc, etc.) but, as I say, the point is that every member of our team was truly magnificent. ‘A champion team…’, as my old footy coach would say. I hope that other members of the TTBB community are enjoying similar demonstrations of Tigerish enthusiasm in their own neighbourhoods. Dusty’s grace and charm in dealing with the creepy attentions of Bruce McAvaney. I don’t claim to be a world expert on parenting, but I’m pleased that I’ve brought up my son Otto to be emotionally resilient and prepared for the inevitable vicissitudes of life. For one thing, I made him listen to a lot of country music throughout his formative years. He’s learned that many things – especially affairs of the heart – tend to start well but end badly. 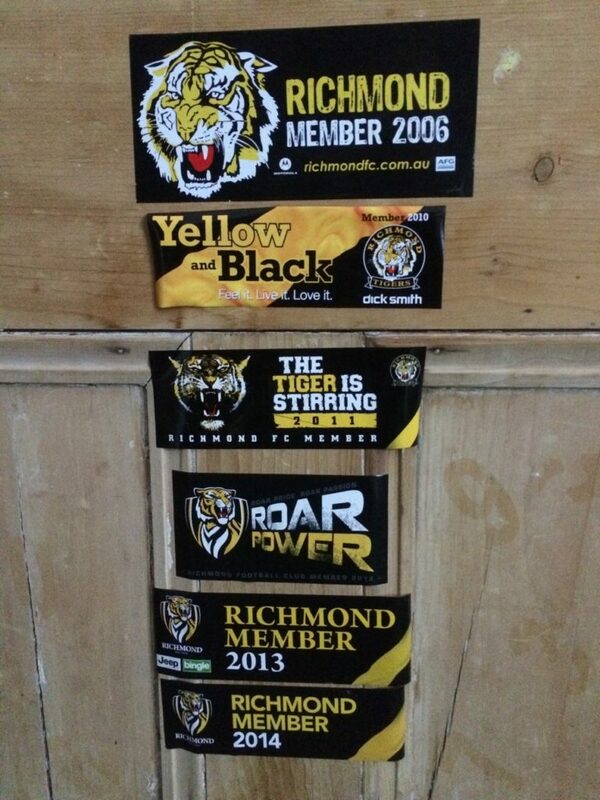 As well, I insisted that he align himself with the Richmond Football Club. That’s just the way thing are at our place – football club allegiance is something you inherit, not something you get to choose on the basis of a personal childish whim. 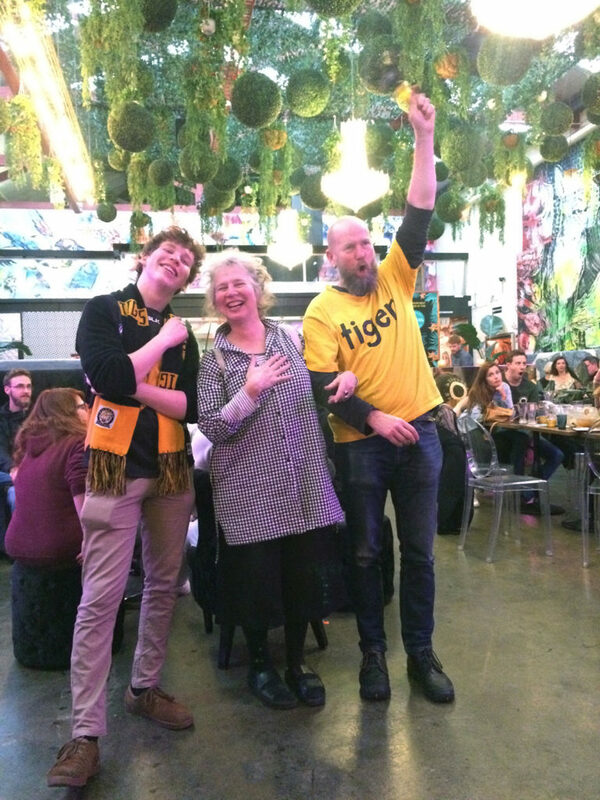 And, fortunately for all of us in the tribe of yellow-and-black, following the Tigers has turned out to be a richly rewarding, character building experience. We’ve learned never to build up unrealistic expectations. We’ve developed a philosophical attitude towards the disappointments that life inevitably throws in our path. We’ve learned to delight in the absurdities of near misses, where defeat is miraculously plucked from the teeth of victory. We understand the meaning of exquisite pain, the pleasure of returning again and again to pick around the same old scab. We appreciate the virtues of righteous suffering. (“Haven’t we suffered enough?” Otto occasionally asks me. “Apparently not” I wisely reply.) We’ve developed perspective, attitude and ironic capacity that those pitiable Hawthorn supporters, for example – those soft-bellied, fair-weather sailing turd-bird devotees – will never truly understand. Cycling home from Saturday’s game against the Swans, we ruminated yet again on our team’s wonderful capacity for heartbreak. I suggest that overall, we were probably the better team on the day. Otto responds that, were that truly the case, we would have won the game. It’s a delightful conundrum. I can’t remember who it was that once referred to Richo, our one great shining light throughout so many otherwise forlorn seasons, as the Hamlet of Australian football – immensely gifted but, somehow, forever shrinking from greatness. I always liked that description and thought it to be true and insightful. This year, it seems to me that our whole team has taken on the Hamlet mantle. But for a few fatal character flaws that have seen us lose four games by a combined total of nineteen points, we could be sitting a couple of games clear on top of the ladder. Instead, the inevitable logic of tragic drama sees us sitting several rungs down the table. 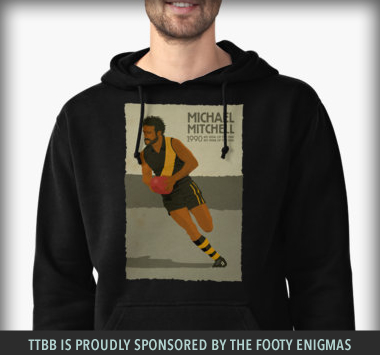 The Tiges played some exciting footy at the MCG on Saturday and then, just a few times too often, one of our blokes would make a clumsy skill error and turn the ball over in a dangerous part of the ground. The Swans kept plodding away in a boring, annoying and persistent manner, exploiting the chinks in our armour. They had too many tedious players with boring names like Jones, Smith, Lloyd and Newman. I didn’t like any of ‘em. Meanwhile, Sir Rancelot was clearly the most splendid player on the park, rendering that big bloke that we passed over in the 2004 draft as a misfiring pop-gun. Our other tall soldiers down back were similarly magnificent – David Astbury showing off his fly-paper hands and Dylan Grimes his Inspector Gadget extendable arms to great effect. Will-o’-the-wisp Shai Bolton was sublime for the first half of the game but then seemed to evaporate entirely in the second. Captain Trent’s hairstyle was immaculate and unmoving and Dusty’s tatts were as impressive as ever, but neither player managed to break the game open in the manner that we hoped they might. Bachar’s beard swooped hither and thither, but his raking left foot didn’t always work to great effect. Players like Short were courageous but, alas, often just too short. Our boys produced many moments of lightning-fast magic, but somehow never enough. I might well compare this game to a bitter-sweet country song but, really, it was more like a C&W oratorio. My view from the City end. There were NO GOALS scored at this end for the entire second half of the game, EXCEPT FOR THAT BLOODY ONE AFTER THE SIREN. David Mundy is an unprepossessing kind of footballer. He’s not very flashy. No visible tatts. No man-bun. But unfortunately for Tiger fans, he’s a champion exponent of the crunch kick at the end of a game. It’s twice now he’s done this to us; once after Bachar Houli snatched defeat from the jaws of victory a couple of years back and now, this time, with a clinical kick after the siren. Our moment of jubilation after Brandon Ellis had pulled a last-minute goal out of his arse was indeed only a moment. And actually, as soon as our boys flooded back into defence after Ellis’s goal I had a nasty premonition: the ball would ping down Fremantle’s end, our players would all get in the way of each other and one of their mob would somehow end up with a shot at goal right on the siren. And, lo, alas, it did come to pass. Despite the disastrous finish, this was a good game. Both teams had their chances, both looked terrific at different stages of the game and both made about the same amount of errors. And, most pleasingly, both teams largely played an attacking style of footy with plenty of run and carry and lots of long kicking to a contest. 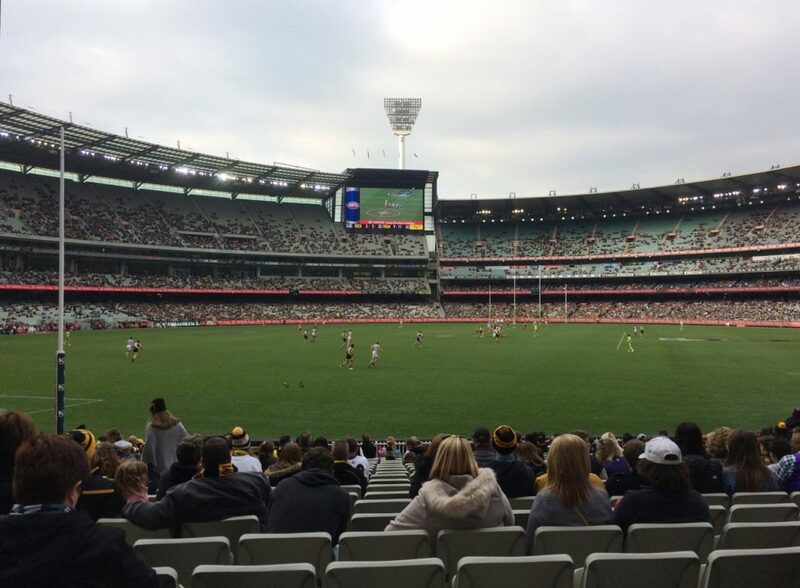 Freo had the best two players on the ground – Bradley Hill and Michael Waters – but the Richmond blokes all kept running, especially in the last quarter when all the play seemed to go our way, except for that last, infuriating twenty seconds. Thankfully, the Tigers have moved on from the tedious and ineffectual defensive, over-possessing style of game that we suffered so much of last year. And, amazingly, even a team coached by Ross Lyon seems to have done the same. Hill and Waters and co. were constantly running into space and, in the third quarter especially, we couldn’t seem to lay a hand on them. The ball kept shuttling from end to end. Unfortunately for the Tigers, until the last quarter it mainly kept bouncing back outside of our forward 50 as quickly as it came in. Kicking only five goals in three-quarters of football is a worry, and I reckon that something might have to give at the selection table next week. Many will disagree, I know, but I’m lamenting the loss of big Tyrone. There were reasons he was such a popular whipping boy, but he could also take a grab and kick a goal. And in the absence of any other effective tall target to support Riewoldt at the moment, I reckon ol’ Ty would be a useful asset. Fortunately we have Dusty, playing like a man fully convinced that the ball belongs to him and, usually, managing to get it. His work to win a contested ball on the boundary line late in the last quarter and then spear a pin-point pass to Jack was, to me, the highlight of the afternoon. (Jack missed the easy shot but then redeemed himself a minute later by dobbing a much more difficult one.) Dusty’s foot skills are sublime, and he finds time and shows composure where other players don’t. I’m really enjoying watching our team playing this year. Fortunately, I didn’t see the Adelaide game, but I’ve watched most of the others. Win or lose, we play an exciting style of footy and we always seem to be in with a chance. Our final quarter come-backs, both in this game and in the one against the Dees have been especially heartening. It was just a pity about that Mundy bloke. 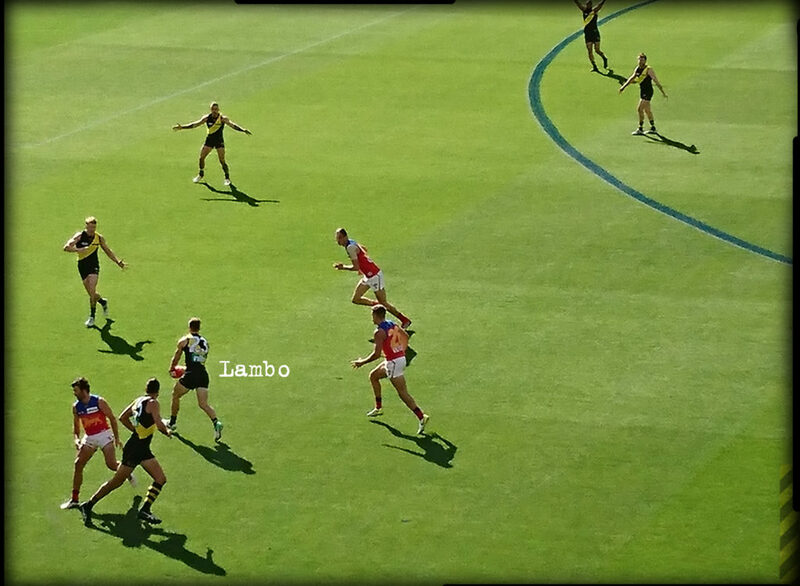 4 – Alex Rance Combined defence and attack in his customary manner. Only got his hair all ruffled once. 3 – Daniel Rioli His hairstyle is a bit too pretty for my taste, but he’s an excitement machine nevertheless. 2 – Trent Cotchin Not his most effective game, but was strong out of the middle and kicks well when it looks like he’s about to fall over. 1 – Dylan Grimes I like the cut of his jib. I only wish he’d done a better job at stopping Mundy’s grab at the end. (Eligible 2017: Batchelor, Chol, Corey Ellis, Grigg, Nankervis and Houli). Potentially eligible 2017: Castagna, Chol, Moore, Stengle and Soldo. This story starts way back in the early 1900’s, 4 brothers all born in Richmond. 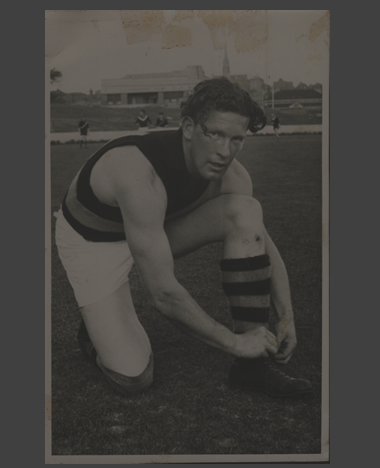 Joe (my grandfather) chose Richmond as his team, his brothers as follows; Eddie, North Melbourne, George Fitzroy and the youngest Ronnie chose Collingwood. 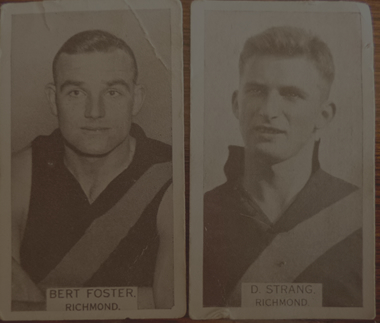 Three of the four stayed in Melbourne and were all long serving paid up members of their respective clubs; all more than 50 years. 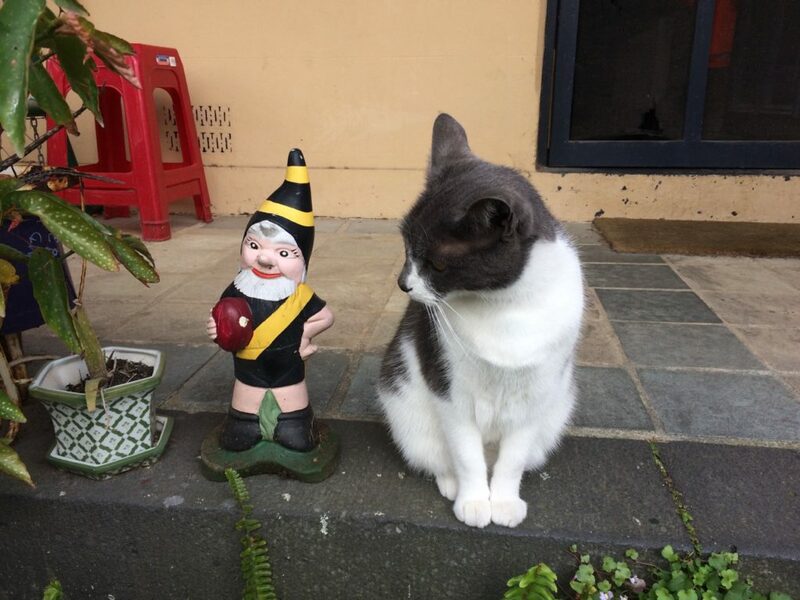 George the Roy Boy moved to Adelaide after the Second World War. All four brother served in the second world war, the youngest Ron being “seconded” by his eldest brother Joe into his unit so he could look after him. One of the old letters we still have as a family was from my grandfather who in WW2 wrote to my nanna and said you might not hear from me for long periods but no matter what keep my Richmond membership paid up. 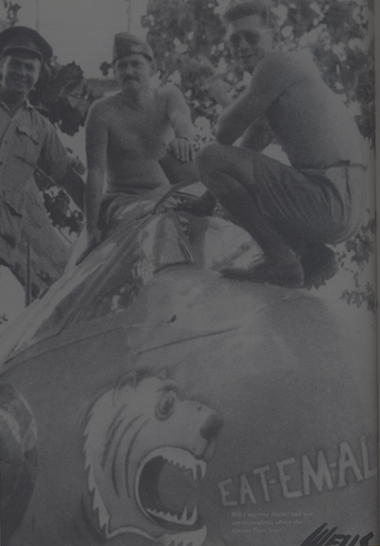 After serving in North Africa and Greece the eldest and youngest of the brothers served in Papua New Guinea together it was here that Ronnie was wounded. Keeping his promise to look after his younger brother Joe carried the wounded Ronnie to an aid post and came down from the lines to check on him when he could. In the late 1960’s my grandfather was given a Collingwood social club medallion to use for the day. 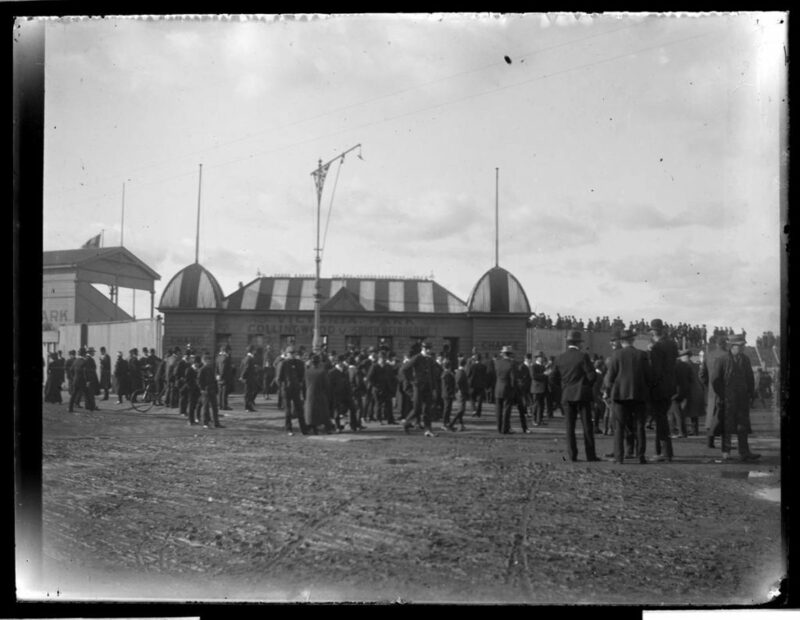 This allowed him access to the inner sanctum of Victoria Park on game day, the match was of course Richmond v Collingwood. My grandfather was one of the most social people you could meet and enjoyed meeting new friends over a beer. Not long after getting a beer up walked Ronnie. Instead of a hand shake and a how are you going mate Ronnie sneered at him and said “what the hell do you think you’re doing here. How did you get in here, leave now”. Of course the oldest brother took offence and then it was on. Grandpa was ceremoniously turfed out the door after being knocked around a bit; as he said, and never got to see the game. He kept his fist clenched and never gave up the identity of his mate who gave him the medallion. Ronnie and his eldest brother Joe; my grandpa, never spoke to each other until Ronnie was on his death bed some twenty years later. I vividly recall my dad getting some seats in the Rush stand at Victoria Park in the mid 70’s, he even was given a prime car park at some service station just near the ground. Not long into the first quarter I took my coat off to reveal a Richmond jumper with number 10 on the back. Pretty soon after that a lady started poking me with her umbrella. When I looked at her she said “get out of this stand, go and sit with your own kind”. When dad said “leave the kid alone he’s only 10” he copped a whack and again the Thompson clan come under some harsh treatment from that Collingwood mob. We left early… you can only fight so many folk in one stand on the one day you know. Fast forward a few more years and to my Richmond cheer squad days when Norm was the cheer squad leader. You walked in as one and walked out as one or you’d cop the wrath of the mob from Victoria Park. I was spat on, had cans thrown at me, all sorts of crap but we kept going back. If you’re a Tiger of old then you’re strong and you’re bold. Jump ahead another few years and I was shaking a tin for the Save Our Skins rally when a car pulled up and a few boys who had been having a liquid lunch started hurling abuse. I flipped the bird at them and a bloke in a Collingwood beanie and his mate jumped out and again arms and legs were swinging. The changing of the lights ensured they jumped back into the car but like my grandpa my fist stayed clenched around the tin and I kept hold of the precious coins for the Tigers and we both lived to fight another day. I now have two daughters and when our eldest was born at the Royal Womens Hospital we could see Victoria Park. Although 6 weeks prem and barely a week old I took her to the window and said; “Caitlin you can be what you want in life, choose your own path but never bring home anyone from that mob and tell me they’re going to be your life partner”. To this day I still remind her. My mate Cuz is a Collingwood man through and through. We’ve worked together before, we’ve had plenty of beers together and plenty of laughs. He is a gun at his work, is sharp and a good communicator except when it comes to football. Being a Collingwood man he is a cross between a clown and a muppet in my eyes. I don’t hate Cuz… I pity him. Hate is a big word so I won’t say I hate Collingwood but this week; as in any week we play them, my emotions run high. It’s in my blood, it’s now four generations of being in my family’s blood. My best mate Bear and I sat at the Mothers Day Massacre, and we gloated. We still talk about it to this day. 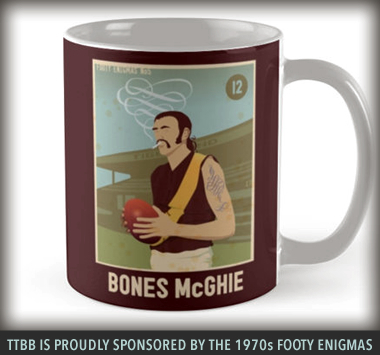 The 1980 premiership we gloated, as did my sister Kath, my mum and dad and my grandpa. I want to gloat again this week. 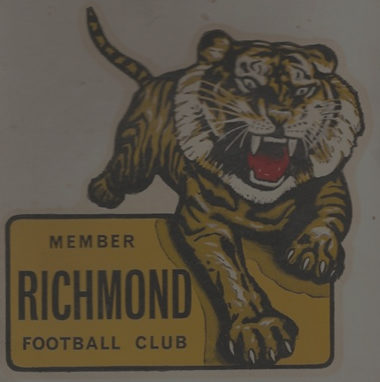 My eldest is going on Thursday night, my youngest Emily replied with one word when I said are you going to see the Tigers and Collingwood… “Eeww”. Four generations not liking Collingwood… mission completed. As for me I’ll be streaming the game again here in Kenya as long as the AFL site doesn’t crash again as it did last week (I blame Collingwood for that you know…). Go Tigers, eat ‘em Alive so we can all sing that song again Thursday night. 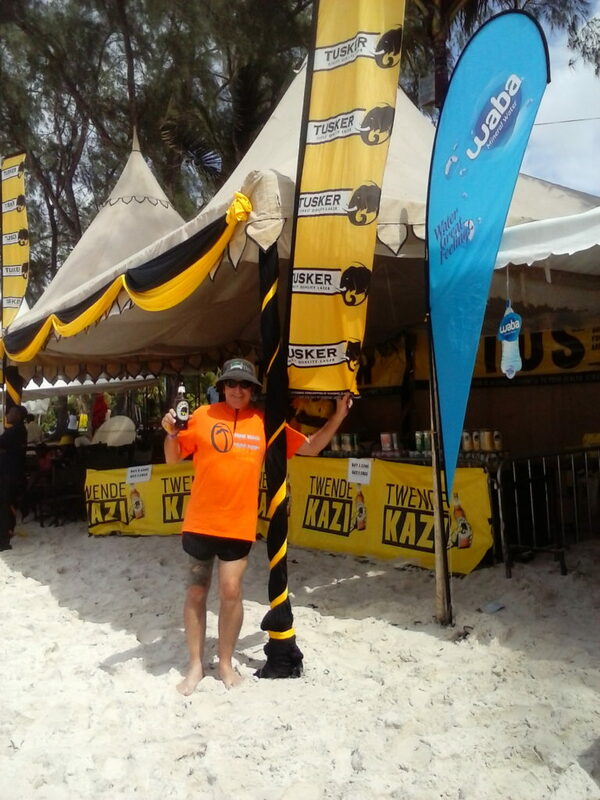 The author at home in Kenya enjoying the national brew, Tusker. Nice colours. Australian Rules football can be a beautiful game: fast, skilful and gloriously unpredictable. Unfortunately none of these adjectives apply to the dispiriting spectacle of Tiges vs Saints at the MCG in the penultimate round of an underwhelming 2016 season. Because, really, it’s difficult to find many redeeming features from what was undoubtedly one of the worst game of footy I’ve ever seen. 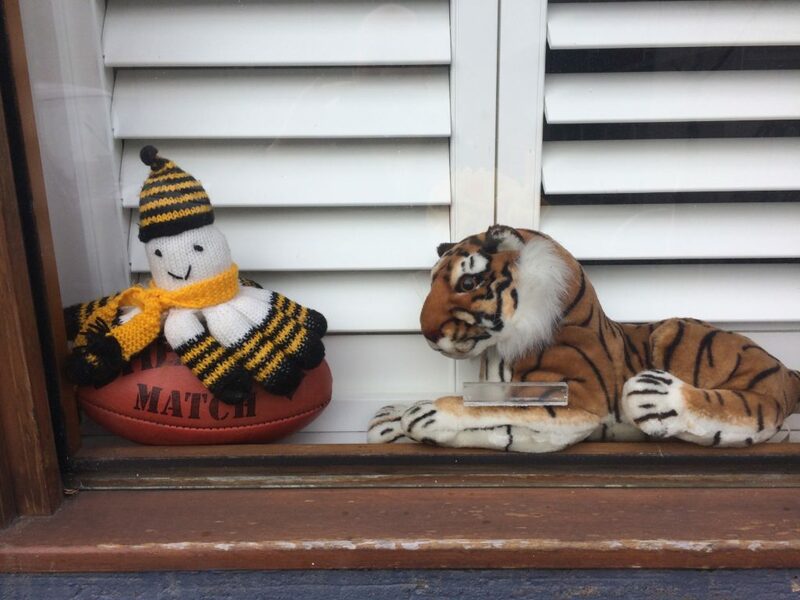 I think it has to be said that, in 2016, the Tiges play a brand of football that is excruciating to watch. We present a style of play that’s entirely un-playful. (Alas, I don’t think there’s any deliberate irony in this game plan.) No-one seems to be having much fun, on either side of the fence. – On the rare occasions when we do have control of the ball in our forward line we’re usually incapable of kicking it between the big sticks. Much of the difference between a good team and an average team at AFL level is about confidence and belief. The Richmond team of 2016 seems sadly lacking in this department. Our skills look decidedly second-rate, but I reckon this is largely because the players don’t have a game plan that they properly believe in. Of course, all of this is just the opinion of one bloke sitting on the side of the fence from which it’s easy to criticise. Aussie Rules footy is a brutal game, and I don’t like to be too harsh. But the truth is, as much as I love the Richmond jumper, I’ve got to the point where I no longer want to watch a team playing such a frustrating, boring and unproductive style of game. Fortunately, I can at least report a couple of redeeming moments. One of these was the bloke sitting behind me observing that whoever was taking official stats on unforced errors was probably the hardest working person at the game. (It was hard to disagree.) On a more positive front, the other was the display of young Daniel Rioli. Here’s a player growing in confidence and looking capable of developing into a genuinely exciting talent. From my point of view, he produced nearly all of our best on-field moments. I wish I understood what has happened to Shane Edwards this season. He’s a player of exquisite skills and lightening reflexes, and I can’t understand why he’s suddenly dropped so much off the pace. I also wish I understood what Ben Lennon has done to offend the selection committee. He might be a good footballer if he ever got a decent run of senior games. But I guess we’ll never know. I’m sure I’m not the only person who prays that a miraculous lightening bolt might incinerate those on-field dickheads who parade around with microphones before the game and during the breaks. Their prattle is inane and their enthusiasm is entirely confected. Enough already! Trudging home through the Fitzroy Gardens after this misspent afternoon, I could at least be grateful for the host of golden daffodils (as Willy Wordsworth once did say). 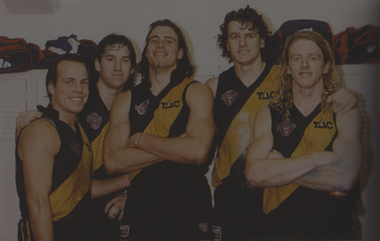 Malcolm McKinnon has been a Tiger from birth, which is surely a mixed blessing. He often wishes that he cared less about football. now bright and clear night. Apart from my team travelling badly and apart from loathing the experience of live Richmond matches, I was also extremely tired by Saturday evening. A few hours of door-knocking for the Greens in Preston and a couple more at a party where I knew very few people was enough to wear me out. Oh, and I’d had a big week too. So I was never very likely to go last Saturday night. I wish that I had and I take my hat off to the 36 thousand who did. Apart from my team travelling badly and apart from loathing the experience of live Richmond matches, I was also extremely tired by Saturday evening. A few hours of door-knocking for the Greens in Preston and a couple more at a party where I knew very few people was enough to wear me out. Oh, and I’d had a big week too. So I was never very likely to go last Saturday night. In any case the Swans began well this time and had three goals on the board before we knew which way we were kicking. But then an odd thing happened and we actually started to play quite well. Franklin was rampant but Rance stuck with him and limited the damage. We fought and scrapped and got the ball into the forward line and set up countless chances. Most of these we squandered. From near and far, tight angles and straight in front. Through for a behind the ball went. In no time we had our first “point goal” – six behinds for our trouble. But despite all the misses, at quarter time we were only ten points down and at the half-time break – this we could not believe sitting in comfort on the couch – we were five points up. The breaks are when I’m really glad I’m not at the ground. Even at home you can hear the spruiker and the music obliterate the crowd noise. Tiger fans were not doubt roaring their heroes off the ground, but nobody could hear them, not at home on the couch, not in the outer at the ‘G. In the third term our terrible kicking reached another level. We added 1.5 to the Swans 5.4 and trailed by three goals at the last break. Football’s oldest and truest clichés surely applied – bad kicking is bad football and the third quarter is the premiership quarter. Lose that and you’re stuffed. But something truly bizarre happened at the start of the last term. The Tigers burst from the blocks and kicked goal after goal. 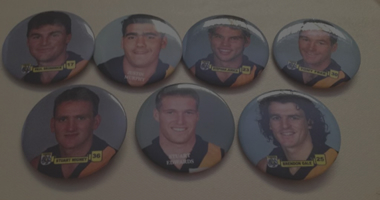 Rioli got two of them – how many years have we needed a Rioli? – and we were right back in it. But Sydney steadied and kicked away again and there were only a few minutes left and they were two goals up. Then Jack won the footy in the maelstrom much closer to the Swans’ goal than to ours and kicked it perfectly to the advantage of the helmed Griffiths. For a big man he moved like the smallest gazelle, chased by his equally helmed and large opponent. The ball bounced, Griffo grabbed it and took off, one bounce inside the 50 and then kicked it, along the ground, straight as the road to Lockington, right through the big ones. Five points now and four minutes to go. 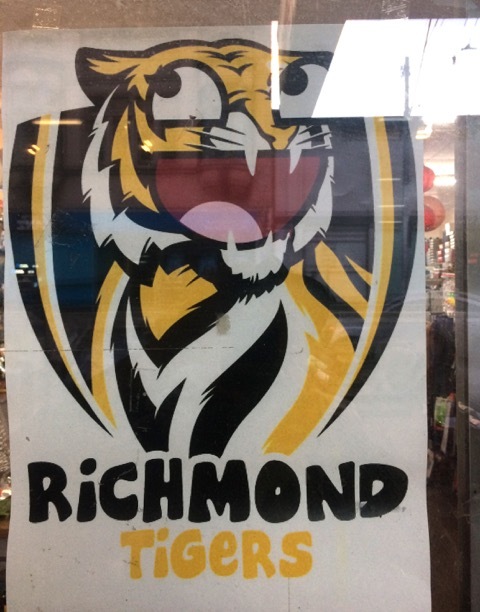 Sydney attacked, Richmond attacked. Twice Rance performed heroics to save the game for us. Or was it thrice? Still, it was not enough. Sydney had the ball and attacked again. We won it again, Sydney won it back. Only a minute left. Then less than a minute. Sydney had the footy, forward of the centre and chose, in the most sporting way imaginable, not to kick it wide or backwards to one of several un-marked team-mates but instead into attack again, into a contest from where it was wrestled free by the much-maligned and poorly-pronounced Vlaustin who roosted it out of the back-line. It landed close to Riewoldt and took what Dimma would call “the bounce of God” straight into his lap. But, as Dimma said too, you make your own luck sometimes. Jack saw Griffo again running into the forward line and kicked an inch-perfect kick to him. The helmed one took it easily, 65 meters out. Seconds left could be counted on my fingers. Should he roost it? He’s a big kick but the angle was bad. Should he go for another run? But the Swans were getting back and it would be tough for him. One tackle, one mis-step and the chance would be gone. 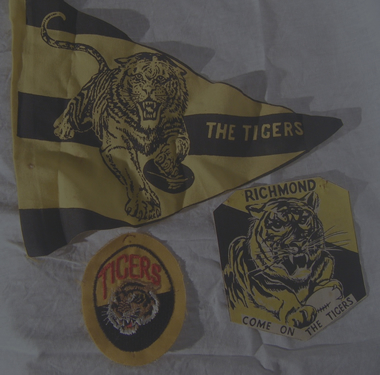 Three facts might have occurred to the pessimist at this point, not that any of that ilk have a place at Richmond: we haven’t won a game since March; we have an awful record in close games; our set shot kicking is abysmal. But our heroes did not have time for such maudlin rubbish. Sam Lloyd, the boy from Deniliquin, loped into the forward 50 and called for it. Griffo kicked over the man on his mark and Lloydy marked, 45 from goal on a worse than 45 degree angle. Seven seconds left. On the couch we were beside ourselves. I think I was sobbing already. 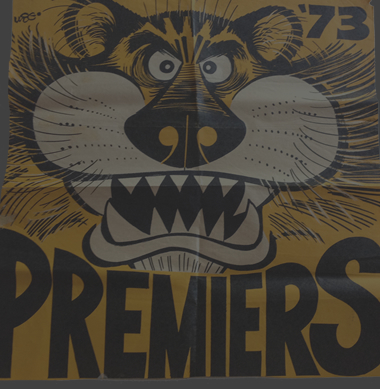 Griffo walked over to Lloydy and said – so we learned later – “three deep breaths and keep your head over the ball.” The young feller settled himself, wasted no time, walked in and kicked from the 50. A straighter, higher, truer, more beautiful kick has never, ever, in any sport, at any time on any planet ever been kicked. It went high and it went handsome and split the big sticks as elegantly as if they’d been a block of straight-grained red box beneath your grandfather’s axe. I was openly sobbing by now. Lloyd was buried beneath an avalanche of team-mates. The Tiger supporters went nuts. The song rang out and the supporters were allowed to sing it once, as they are allowed to now, not twice like before. Who cared? All was right with the world. Rance said in a one-minute interview “I love this team!” three times. We said it to ourselves and to each other many more times and are saying it still. 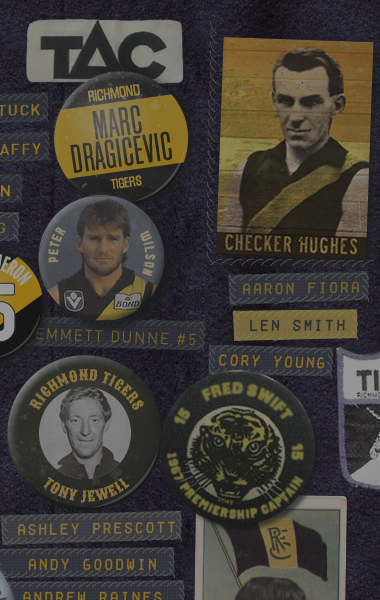 Let us know who you want to see remembered on TTBB’s duffle coat. Email or Tweet Chris and he’ll create a badge for you and your player.